Here’s the latest infrared satellite image from 8am. 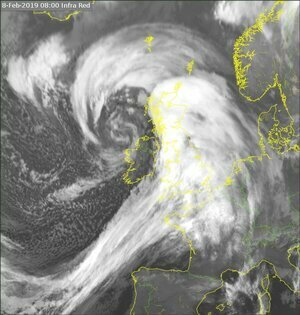 Storm Erik is clearly visible just off the northwest coast. 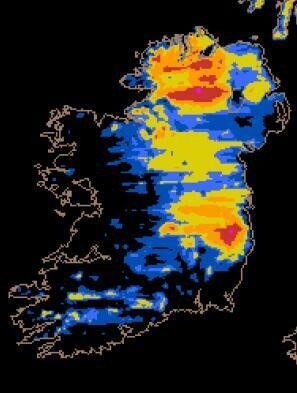 Gusts of up to 120km/h have been recorded this morning with the strongest winds in Galway, Mayo & Donegal. 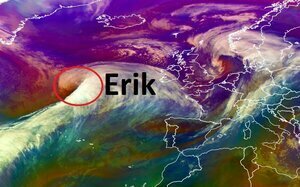 Posted in Misc and tagged Met Eireann, Storm Erik at 10:03 am on February 8, 2019 by Bodger. It’s VERY breezy out there. An orange storm that looks like Trump! Or is it just me? Damn you, I can’t unsee it now ! What does Carlow weather have to say about this?